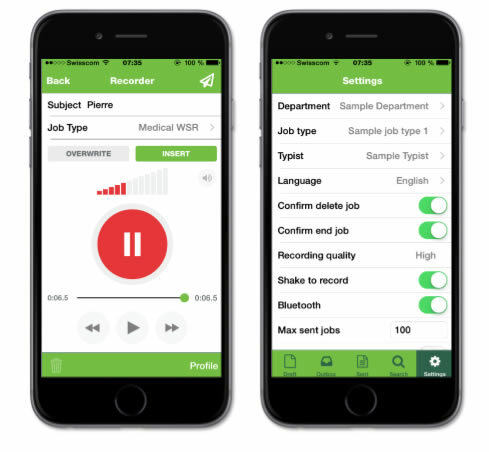 Winscribe Mobile Speech Solutions | Integrated Data Technologies, Inc. Document on the go with voice recording and speech recognition on the complete range of smartphones and tablets. Winscribe mobile solutions meet the rapidly growing use of mobile devices by physicians, nurses, and other caregivers. Secure wireless transmission of voice ﬁles to Winscribe server. This conﬁguration also permits real-time application updating. Integrates with Winscribe’s software, EHR systems and other patient scheduling systems. Enable physicians to quickly and easily document patient information from wherever they are, using their preferred devices.